The main motive of this Google update was to catch the excessive spammers and block them from getting high search rankings. After the decrement of ranking of those sites, everyone was worried about doing White hat SEO. Otherwise, although at a certain point of time they got the ranking, but after certain change in update, the ranking suffered and so did the traffic. After the improvement of search quality for the user by implementation of Google Panda Update, Google focused on improving Link quality. Google Penguin update was for those sites which used black hat SEO techniques to get better search rankings. Black Hat SEO are techniques by which sites get huge benefits by doing unethical SEO work such as keyword stuffing, adding wrong anchor text, getting links from spammy websites etc. Those sites were penalized massively for not following Google guidelines. Intention of this update became successful when site owners started focusing on making good quality content for their sites rather than doing over optimization. Like the Google Panda, Google launched an update for refreshing Penguin data as well. It did not affect the search results that much but structured and updated the data of all low quality sites. By this process Google started another step to remove all the sites which violated the search results and harmed the search quality. Industry waited for this update so eagerly but it did not have a huge impact. It was a minor data update. Then after a long time Google rolled out an important Penguin 4 update which affected the 2.3% of English queries. Google said that it was a new algorithm technology which was used to stop spam. To fight strongly with web spam, Google Launched another Spam Filtering algorithm Penguin 5, which was an updated version of Penguin 4. Again after a long period Google updated their refresh data through Penguin 3.0. It was not a big change in update but it helped the sites which got affected to recover from the previous Penguin updates. It demoted the bad linked profiles. 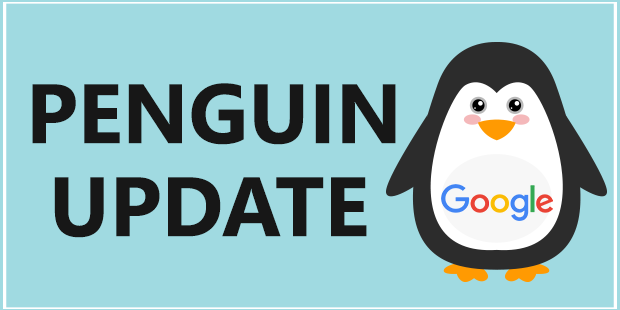 On 10th of Dec Google rolled out a minor one Penguin 3.0 Extended which was not a major one but Google confirmed that it was a continuous process of optimization of Previous Penguin updates. After a long period Google rolled out Penguin 4.0 update in real time. It was a core algorithm update by which Google devalued the spam signal or pages without harming the whole site. Another interesting part of this algorithm update was that the crawling and indexing of new and old updated pages became faster. It is important to understand the penguin update properly. Due to Google Penguin update link building became crucial and more complex than before. It became hard to tell Google that which keyword we wanted to target the most. Keywords stuffing was became valueless. Google stopped giving priority to the false linked pages and rather started showing links which used correct anchor text into their sites with high quality content. Pre Penguin update, people buying links in a short period of time and got higher ranking irrespectively. Google penalized all those illegal link building sites and the pages as well. Most importantly, Penguin is a filter that came in front of all algorithm and purified the whole Google data by cleaning the link spam. Post Penguin update, Black Hat SEO method got badly affected. It’s wrong to think it became hard to do SEO of any pages after this Penguin update. There is a lots of way available to get better traffic, you only need to follow all the Google guidelines and create quality content. Google always thinks about improving search experience of users. You create your own unique content, build quality links, use correct anchor text and your page rank and authority will certainly improve. Search Engine Optimization is not an easy job that you can do for your website or company. If you are creating good and fresh content, you don’t have to worry about any Google updates. To reach your ultimate goal you need to stay up to date with all the Google Algorithm changes.